Where Could Florida’s 2019 Class Rank Amongst It’s Best? With Tre Mann and Omar Payne already secured and another big-time commitment potentially on the way, you know the 2019 class is going to be special. Not only are Mann and Payne tremendous players but they compliment each other perfectly. With Payne being a commander on defense and Mann being a silky offensive weapon they are the big-small combination you need to anchor any starting five. The 2019 class is already looking great, but how exactly does it rate amongst the all-time classes the Gators have had? Let’s take a dive into those numbers to find out. First, we’re going to have to do a bit of speculation about who the Gators are going to finish out their class with. 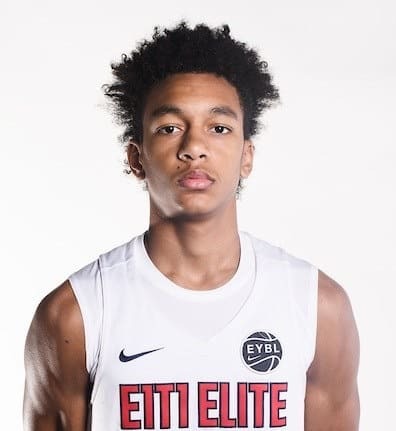 Personally, I think a Scottie Lewis commitment is coming and he’ll be the highest ranked player in a class that already sees Tre Mann, a 5-star, at #25 and Omar Payne, a 4-star, at #38. Lewis, a 5-star ranked #11, could take this class from really good to absurdly good. If Lewis isn’t the guy, you could also see #28 ranked fringe-5-star CJ Walker committing to the Gators, and adding him instead of Lewis won’t drastically change the numbers of what we’re going to look at here. So, call me optimistic, but I’m going to guess Lewis in this spot for the purposes of what we’re doing here. I’m going to be taking a look at Florida’s recruiting classes and the rankings they achieved, but it’s important to note that recruiting data only really goes back to 2003. Before then there wasn’t the same market for rankings and info on recruits, and classes weren’t ranked. So I will probably be using some terms like “ever” or “of all-time” and what I really mean is since 2003. For Florida’s purposes that mostly works as it encompasses almost all of the best seasons recruiting-wise, but know this recruiting data is only current of this millennium. Let’s take a look at the national rankings of Florida’s recruiting classes since 2003. Okay, so what exactly do we think this class will be ranked if we land Lewis? Let’s take a look at some teams that had a similar class (2 5-stars and 1 4-star) and see what they are ranked. For this 2018 class, Vanderbilt and North Carolina both fit that mold. The Commodores have Simi Shittu (#11), Darius Garland (#14), and Aaron Nesmith (#64), while the Tar Heels have Nassir Little (#3), Coby White (#25), and Rechon Black (#71). Okay, both teams with 2 high 5-stars and a decent 4-star, that should put them really high in the rankings, right? Well, maybe not as high as you might think. They’re 13th and 14th. Well okay, that’s not bad or anything, but personally I thought they’d be higher. But there is one thing I have learned after my hours of scouring recruiting class rankings to do this piece, and that is that the recruiting rankings value quantity over quality. For example, Texas is 8th in the recruiting rankings and they have 4 4-stars, 1 3-star, and no 5-stars. Their quartet is made up of players ranked #43, #49, #58, #102, and #212. You tell me, would you rather have a class of 2 5-stars and a 4-star, or 4 4-stars and a 3-star? I’m not trying to disparage Texas’ class, it’s a tremendous one, but I don’t agree that they have a better class than Vanderbilt’s or North Carolina’s. If you need further evidence to support my quantity over quality claim, look at 2017 Xavier’s 2 4-stars and 3 3-stars having them ranked 11th over Oregon’s 1 5-star and 2 4-stars. It extends to Florida basketball as well. When Billy Donovan got the 7th and 8th ranked players (Chris Walker and Kasey Hill) in 2013, that class was ranked 34th! 34th! Are you kidding me? You get 2 top-10 players and there are still 33 better classes than that? And before you get snarky with a comment on Walker’s history with the Gators, you have to remember that these are recruiting rankings and you can’t view them through the lens of what those players accomplished in college. Anyways, what I’m getting at is though the Gators’ class would be awesome if they added Lewis to the 2 guys they already have, the class might not be ranked as high as you’d think. I think a lot of really good classes at the top kept Vanderbilt and North Carolina and 13th and 14th when normally those classes would have them higher, so I think the Gators adding Lewis would put them somewhere between 8 and 14. Unfortunately, I don’t think that number totally does the Gators justice. Say their class was rated 10th for 2019, that would technically make them the 4th best class in Gators history. However, if you look at those classes through a different viewpoint than the recruiting rankings, you might value this one higher. Let’s look at each top-10 class the Gators had. And before we do that, I once again have to remind you that you can’t look at how the players actually did for the Gators when you evaluate what’s a better class from a recruiting standpoint, you have to compare them based on the evaluations that were given to them out of high school. First, we have the famous 8th ranked class of 2004. Corey Brewer was #23, Al Horford was #41, Joakim Noah was #73, and Taurean Green was #105. That’s 1 5-star in Brewer with the rest being 4-stars. Is 1 5-star and 3 4-stars better than 2 5-stars and 1 4-star? I’m not sure. Mann, Payne, and Lewis would all be higher ranked that Horford was (how much did Horford, Noah, and Green overplay those rankings, by the way!!) and Lewis would easily be the highest ranked player. I think you could easily argue the 2019 class is better than the 2004 class from a RECRUITING standpoint if the Gators get Lewis. Don’t misquote me saying I think the class will be better than the 04’s, I’m just saying from a RECRUITING standpoint I think this class is technically better. Now, the 5th ranked 2010 class. I really loved this group. 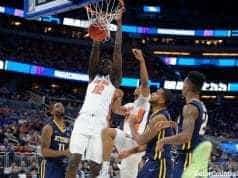 It saw Patric Young at #18, Casey Prather at #52, Erik Murphy at #55, Cody Larson at #144, Will Yeguete at #227, and Scottie Wilbekin at, wait for it…. Okay, now wait a little bit longer…… #605. Boy did that 605th ranked kid really turn out. Yeguete too, that was some bang for your buck at #227. Anyways, is this class with 1 5-star, 2 4-stars, 2 3-stars, and a 2-star better than 2 5-stars and a 4-star? I don’t think so. That 2010 class was special, but the high-end talent of a Mann, Payne, and Lewis class would be better in my opinion. Once again, just from a recruiting standpoint. Though if they want to be better than that 2010 class turned out, or the 04’s turned out, be my guest! And the highest ranked class in Florida history? The 2007s. Nick Calathes #8, Chandler Parsons #29, Jai Lucas #33, Alex Tyus #57, and Adam Allen #133. That is a nice class, a really nice class with as many top-40 players as the 2019 class is looking like it might be, but with Tyus and Allen rounding things out. From a recruiting standpoint, I think this one does stand up as the best Florida ever had. I don’t think they performed the best, obviously, but from a recruiting standpoint those numbers just edge out what the Gators will have if they add Lewis to Mann and Payne. But man, is it close. Mann at #25 getting the edge over Parsons #25 to #29. Lucas slipping ahead of Payne #33 to #38. Let this be a perspective of what Coach White is doing here. 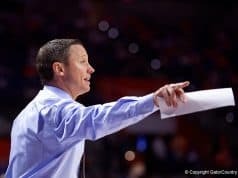 He is recruiting at a magnificent level and is bringing in classes already that are near the top of what Florida has ever been able to accomplish. 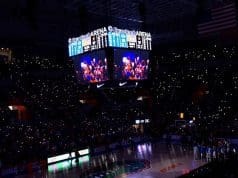 With Scottie Lewis’ decision looming, keep in mind what this could mean for Florida basketball.